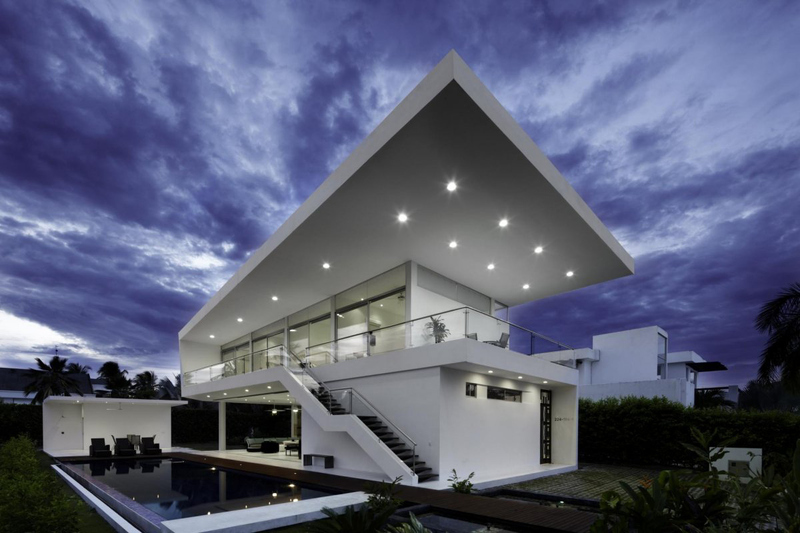 Casa Penon was completed in 2011 by the by the Bogota based studio Giovanni Moreno. 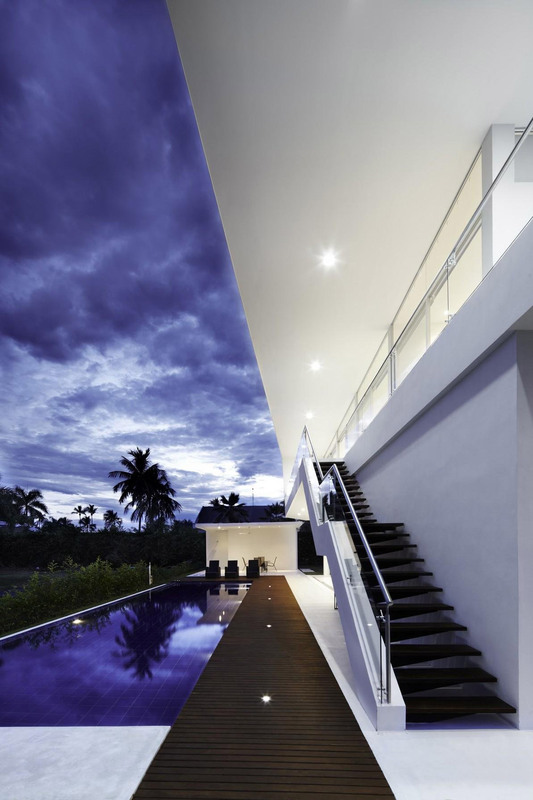 This striking contemporary home was built for two families to share, they required spacious living areas and a ‘good’ pool area. 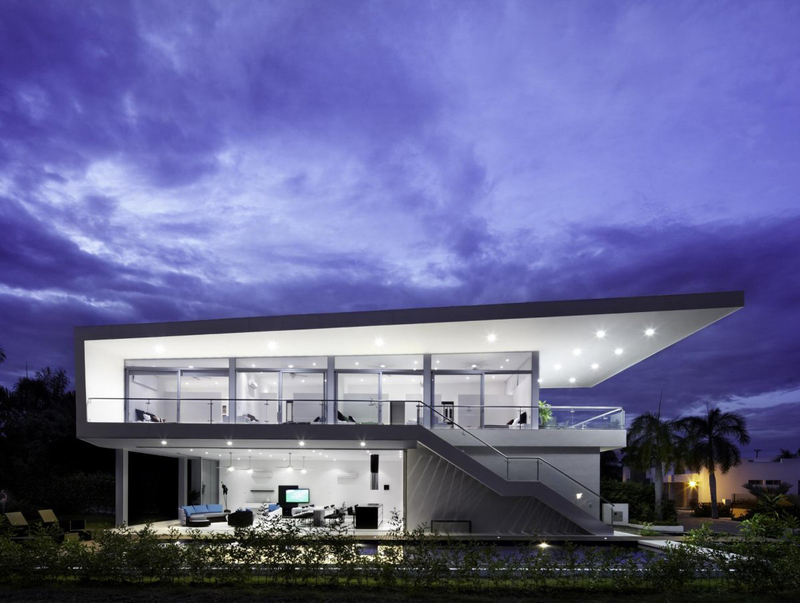 Casa Penon is located in Girardot, Colombia. The customers are 2 families. For one of the families the architect had done remodelling jobs, one family had 2 and the other 3 teenagers children respectively. 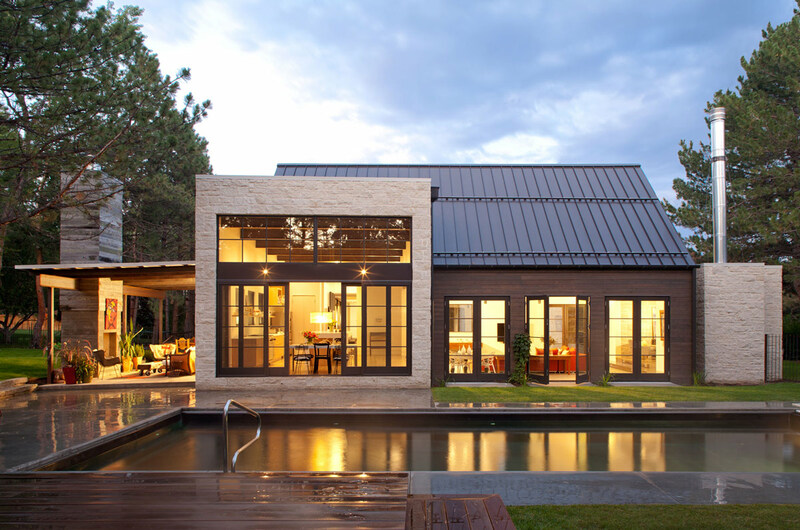 • The 2 families basically wanted a house where they could share, with spacious areas, a “good” pool, and a shared budget. 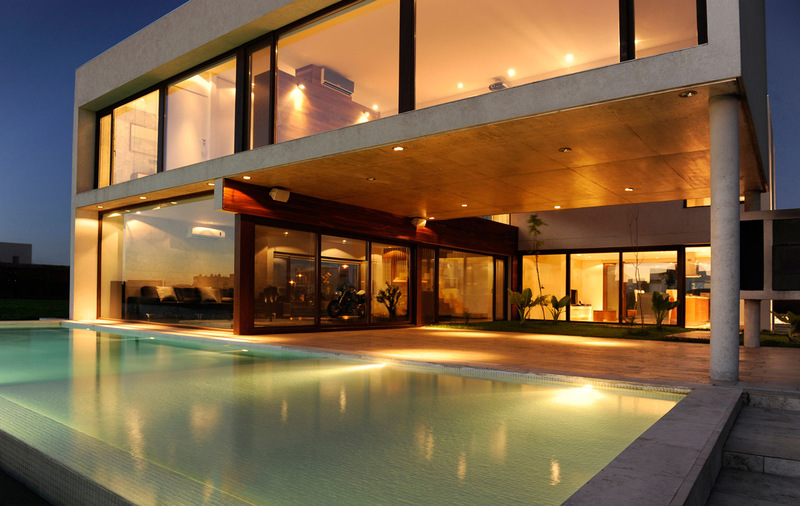 • The owners are young couples and wanted a modern house with open spaces. • The integration of nature (wind, light, water, vegetation) as elements that bring us closer to our essence. 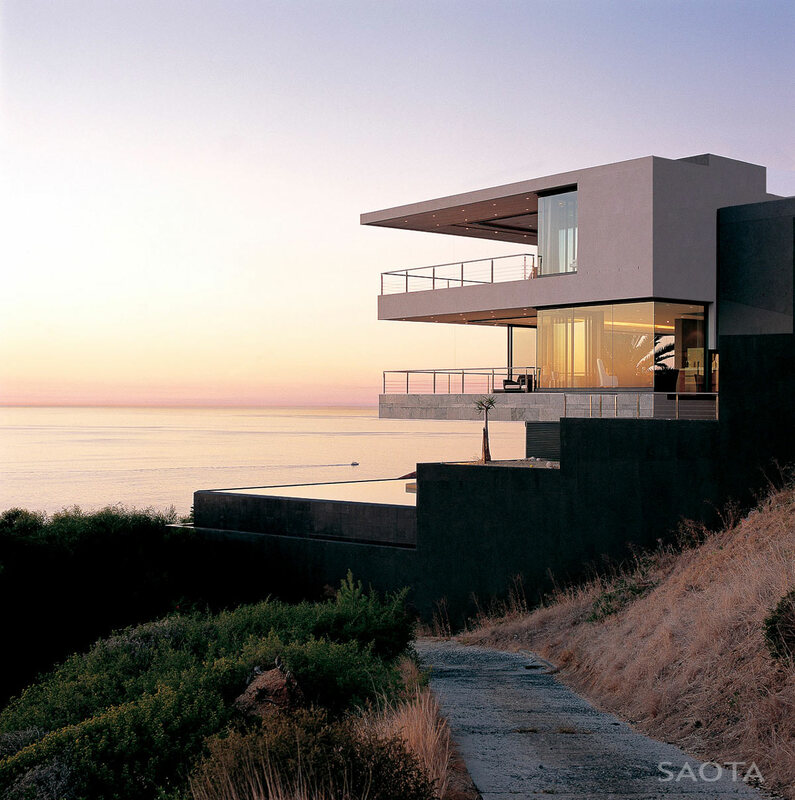 • Geometry and proportion, understood as the contribution of man to the landscape through the rationalization of forms. Through a folded plane that serves as a continuous structure and envelope between natural and artificial, where floors, walls and ceilings form a unit, develops a housing program, with high space utilization, ventilated, illuminated and free of distracting elements that seek to create a moment of comfort and tranquillity in the user, with each space integrating nature through their doors, windows, wherein the cover as the final element of the plane that cast a shadow in the house and essential part of its function of covering the outside stairs, makes its own proportions and becomes a sculptural element. 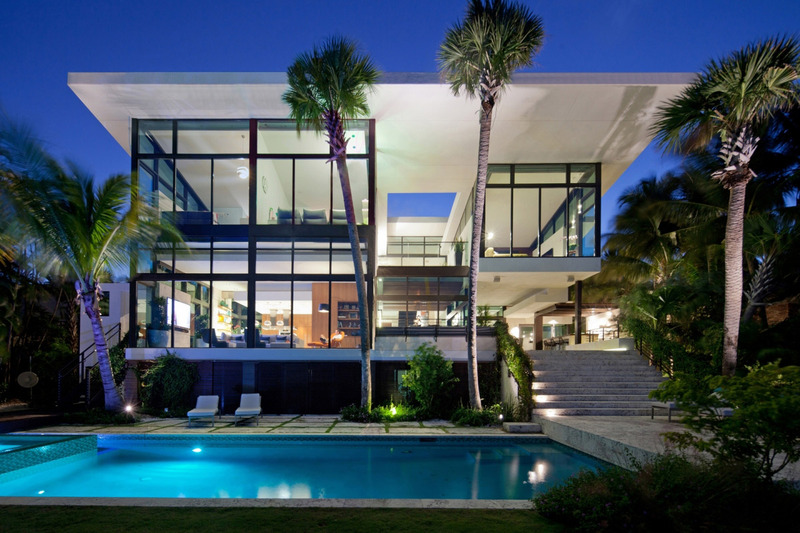 What is the area of the house, how high is, how is the distribution of spaces and which environments were created. In a plot of 800m2, and a built area of 513m2, 139m2 and 276m2 of parking lots the green areas define the program in 3 basic areas that independently interconnect through its corridors and balconies, a private area, where the bedrooms are located on the second level, a social area, where the living room, swimming pool, kiosk and kitchen, the latter, though his character is integrating services and is part of the social area, and a service area where there are baths, laundry, storage and a guest bedroom, the latter area, by their nature, are 2 elements “closed” creating a balance between full vacuum. What kind of materials and finishes were used in the project (on floors, walls, divisions, carpentry, in bathrooms, kitchen, windows, etc.). In order to generate the cover blown lights and spacious social area was decided by a metal frame and lightweight materials. The beds, bedside tables, sinks, and closets in masonry for easy maintenance. 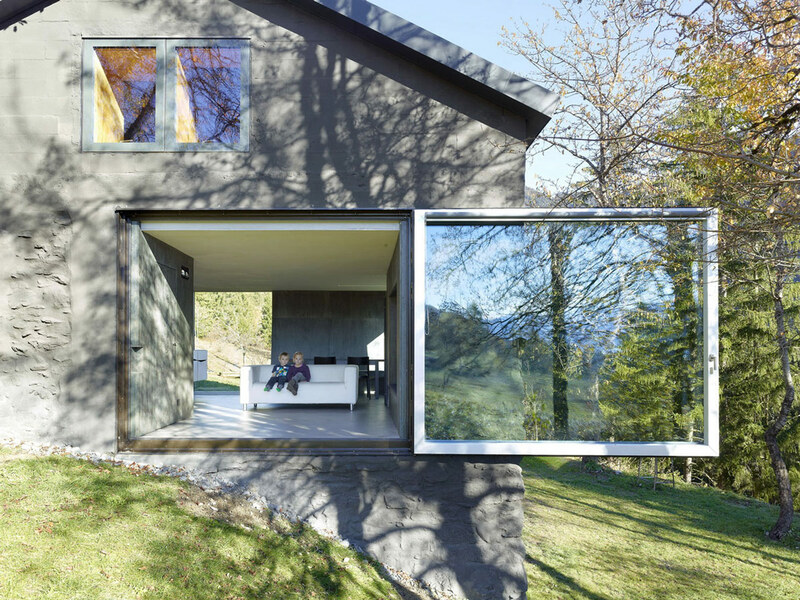 The doors are sliding windows with aluminium frame in the case of the social area are hidden among a niche for integrating interior and exterior. The white kitchen and simple lines retains the essence of the house, use polyurethane paint is white and black marble countertops contrast all. The floors throughout the home are paint in with epoxy and the walls sustain the same color using white paint . 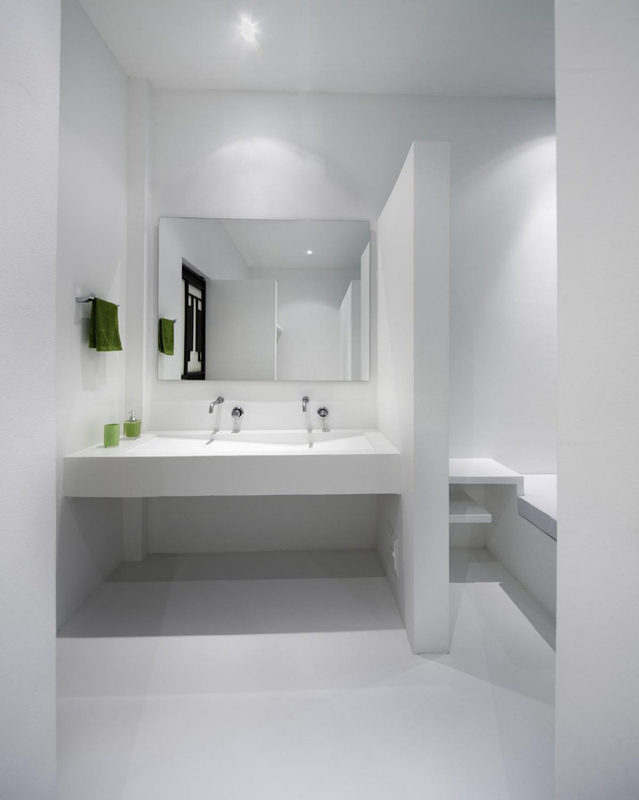 In the bathrooms were used float mirrors without frames or ornaments and opt for a simple tap. 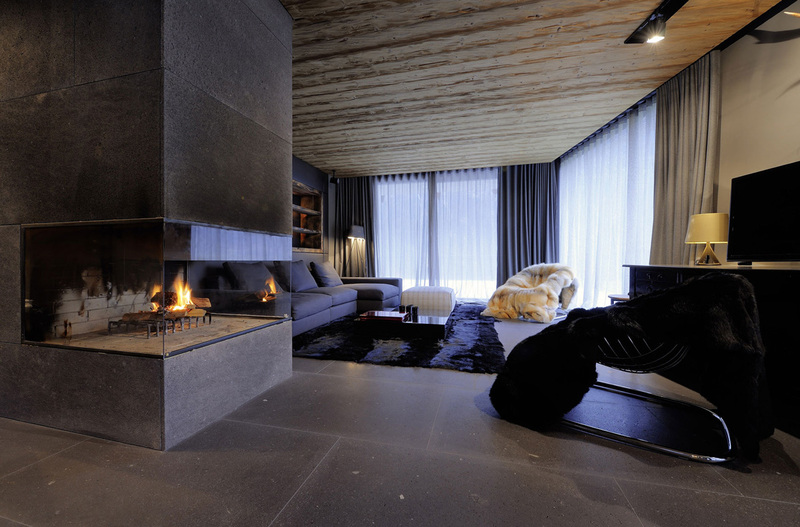 In the house are not used unnecessary items, meaning that all the elements fulfill a function, the house itself with its basic elements and define functional design. Interior architectural elements to highlight. The kitchen is the element that gives visual culmination of the social area. The island marble creates “dependency” but in turn includes the dining area. The expansion in masonry were performed on the first floor provide ventilation and natural light to the area of services. What was the proposed decorative. 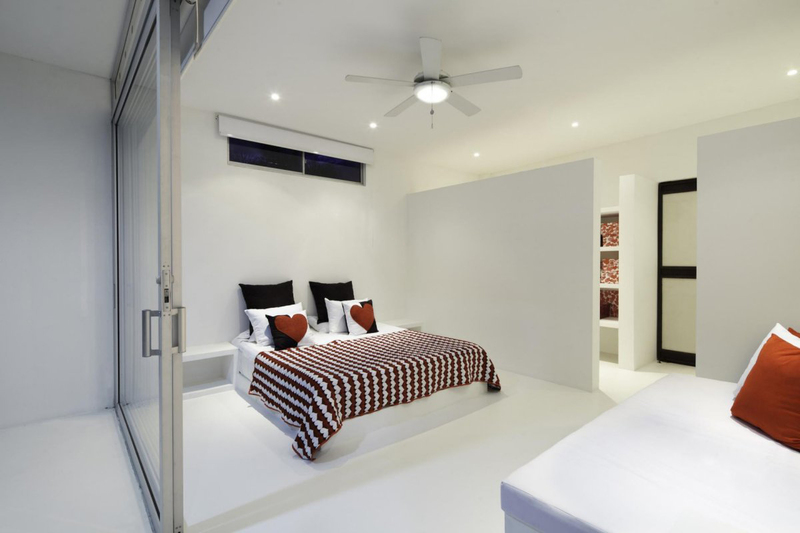 The idea of white throughout the house is to serve as a canvas for decorating bedrooms and furniture, and it was understood by the owners who, with their taste use bright and warm colours, without excessive decoration. The firm responsible for the design of the furniture and dining room set off the initial order, adding color to the home through its furnishings.